Want to know what type of display grabs the most attention? Or which display exhibitors want the most? 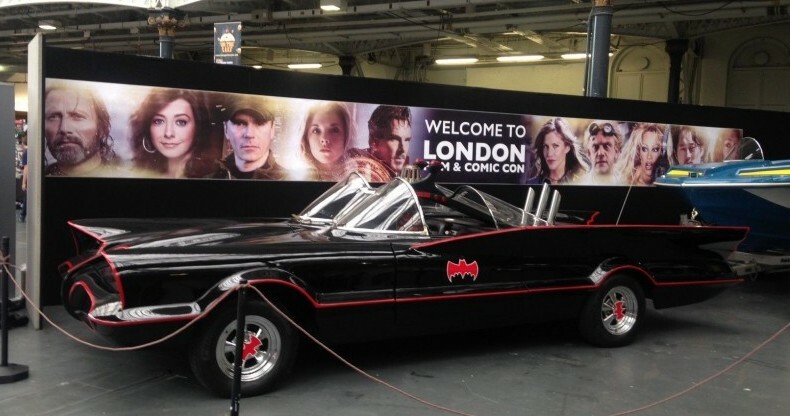 I’ve done some research at this years London Film and Comic Con to inspire your next choice of exhibition displays. 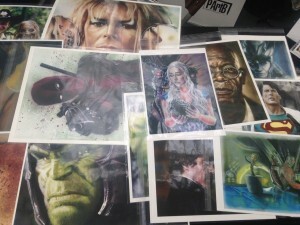 Our second visit to Comic Con did not disappoint. The opening day saw the Olympia Conference Centre packed full of amazing displays, costumes and most importantly, great people. There are some great photos to take a look at as well as interesting facts and figures to digest. 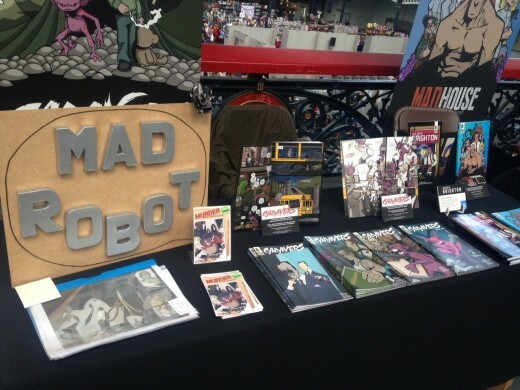 We love Owen’s display stand at Comic Con. 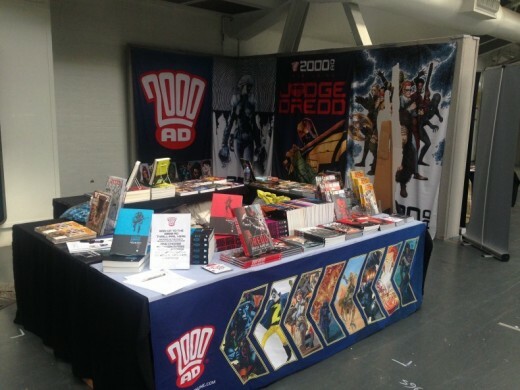 Owen, from 2000AD has a printed tablecloth that works hand in hand with his fabric backdrop and this was the first thing that drew my eyes to his display. 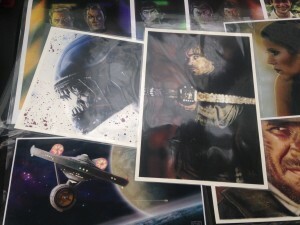 Did you know… only 6% of exhibitors used a custom printed tablecloth at Comic Con? There is a big branding opportunity being missed here. Understandably, event organisers are known to provide a standard tablecloth to exhibitors. But this is a great example of how adding your own branding to your table display can add a perfect finishing touch to any stand. Banner stands, why are they useful? 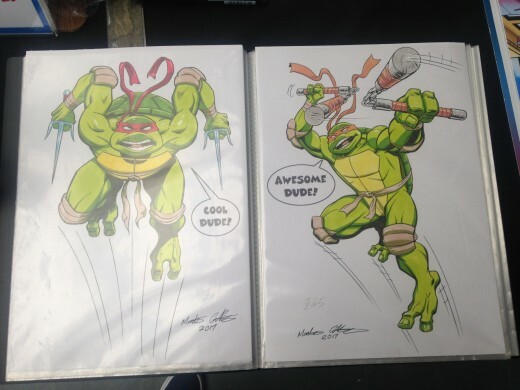 These sketches from Martin are amazing! Given a choice of a range of displays, Martin mentioned a roller banner stand and a printed tablecloth as his preferred choice of display. He’s on the right line here too; over 37% of exhibitors at Comic Con this year used one roller banner, and almost 10% used two banners! Pop up banners are great at capturing the eyes of passers by, and at budget prices, it’s not hard to see why three quarters of all respondents to our survey chose a roller banner as their preferred choice of display. If you want to check out more of Martin’s work, give him a follow on twitter: @griffartmartin. What do exhibitors consider when buying displays? 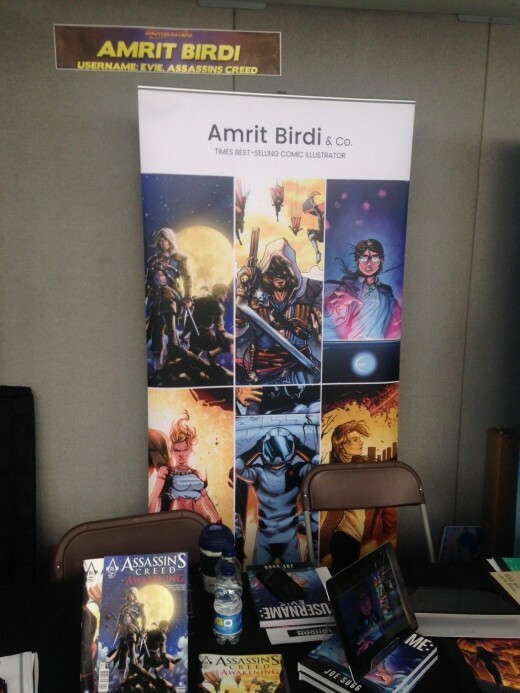 Amrit’s banner was one of the most distinctive on show at Comic Con. 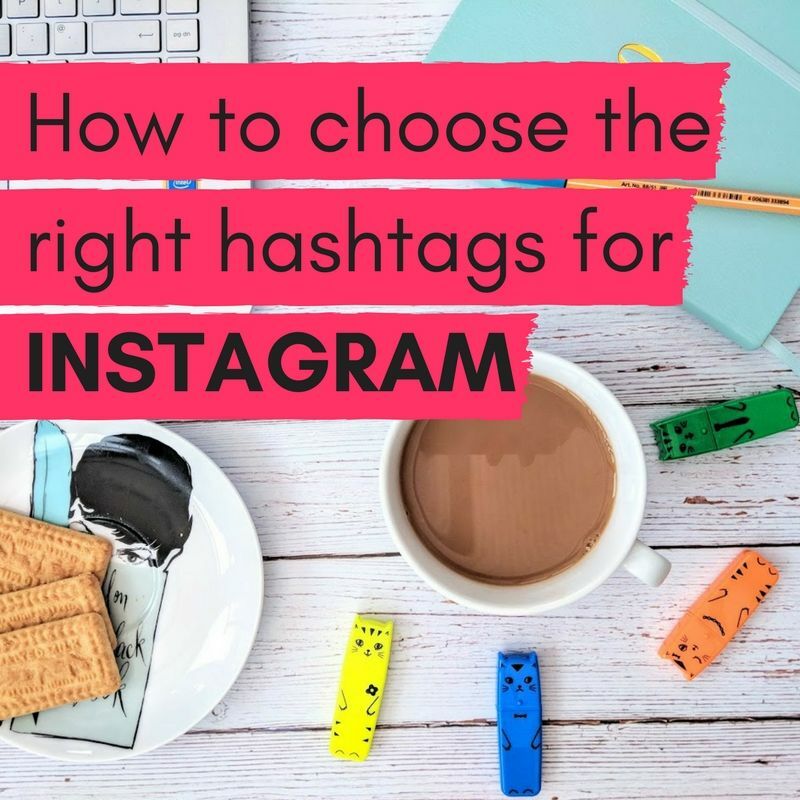 The use of impressive graphics and a neat title presents a clean and professional looking finish. When it comes to buying displays, Amrit, an award winning illustrator considers quality as the most important purchasing factor, and we can see why. When you have artwork of this calibre, a high quality display works hand in hand to create a stunning visual to attract visitors to your stand. Above is the work of the very talented Paul Butcher. When choosing displays to showcase his amazing work, visual artist Paul discussed how quality and price are equally as important in his decision making process. The same view is shared by the guys at Mad Robot Comics (@MadRobotComics – check them out on Twitter). Banner stands were their first choice of display to use; the portable nature of a banner and it’s ability to fit neatly behind tables are the main reasons banners have been such a popular choice in our survey, and indeed in use during the day too. I hope everyone had an amazing time at London Film & Comic Con 2017 and I definitely can’t wait to see everyone again next year.